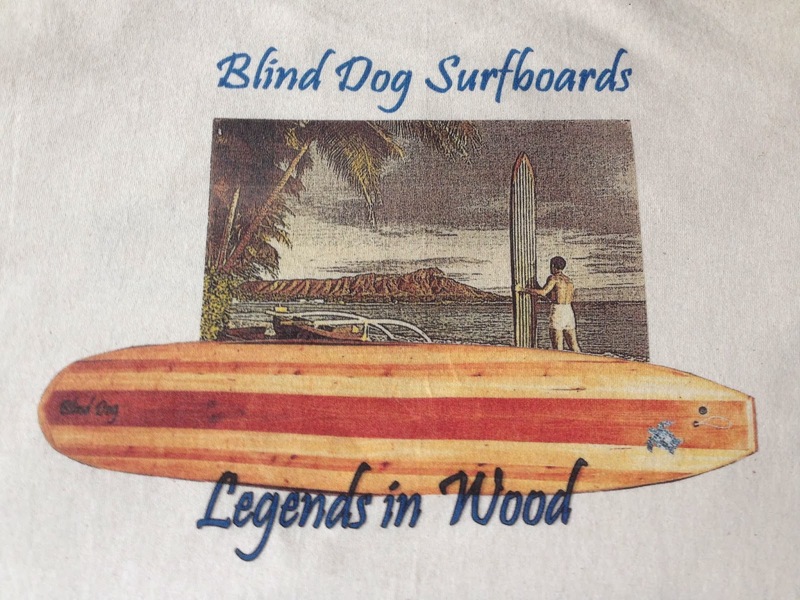 Blind Dog Surfboards: BD T-Shirts Legends in Wood. 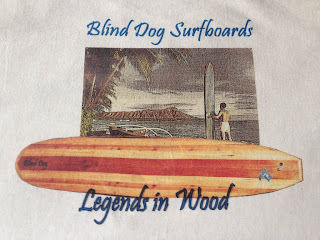 BD T-Shirts Legends in Wood. Just finished this shirt. 100% unbleached Cotton, meaning it is not stark white but a very light tan. We chose this type of fabric because it, in our humble mind, is slightly "woody" color and was made with concern for our environment. Waikiki Diamond Head was and is the starting point for many legendary surfers and we though this would be an appropriate way to pay homage to those who came before us. 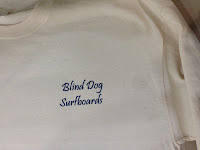 Short sleeved version is $15 with shipping and packing $19.60. Long Sleeve is $17 same shipping and handling. You can do PayPal, Check or even Cash. Email us at: BlindDogSurfboards@yahoo.com if you have any questions.